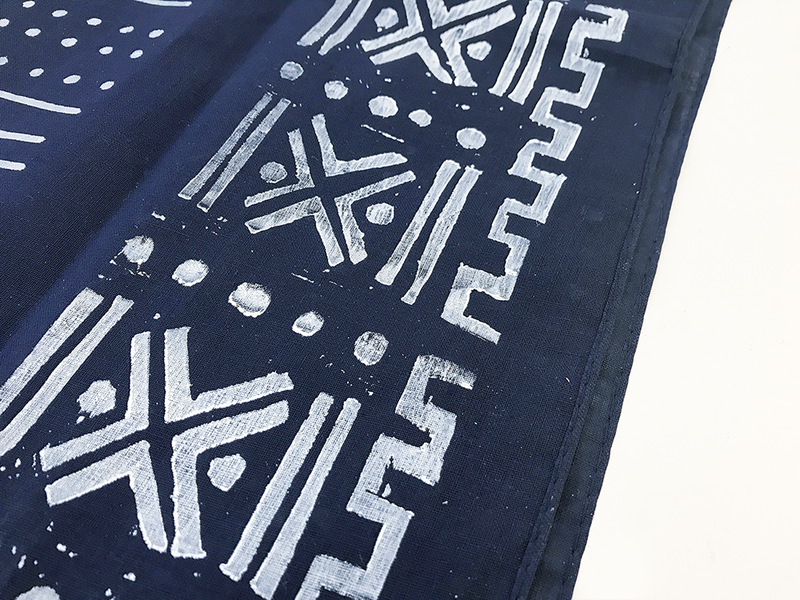 Almost every single DIY you see on Pinterest either does Mudcloth with a crappy fabric paint marker or bleach—I spent several hours researching traditional mudcloth patterns and fabric, and neither DIY option looked remotely similar to the actual designs. 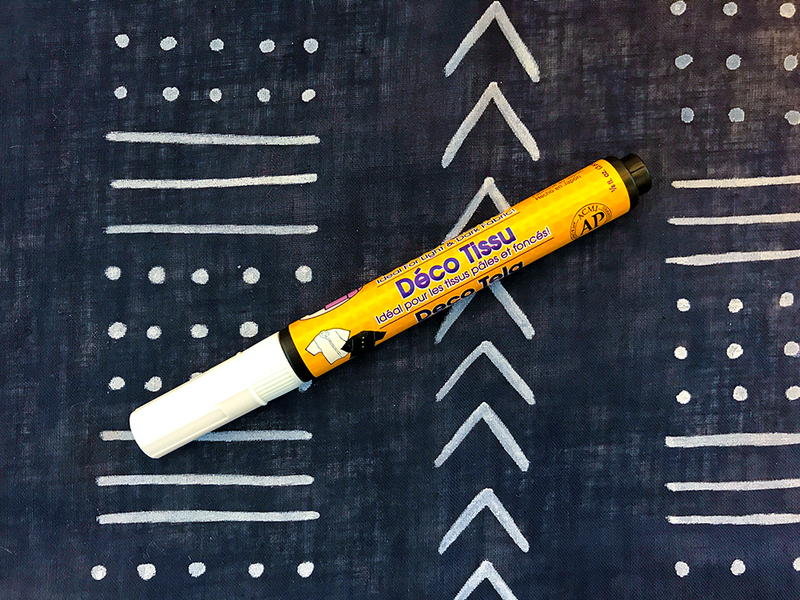 The fabric paint markers are too crisp, and the bleach pen leaves a pinkish hue on the fabric. 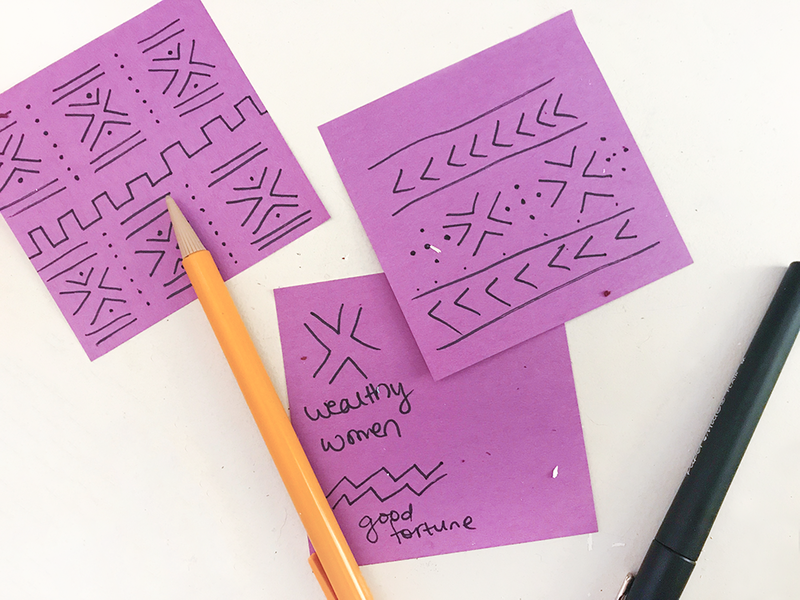 During my research, I decided to also up the mudcloth game by actually researching what the symbols mean and designing a pattern for my friend based on her life and upcoming matrimony. 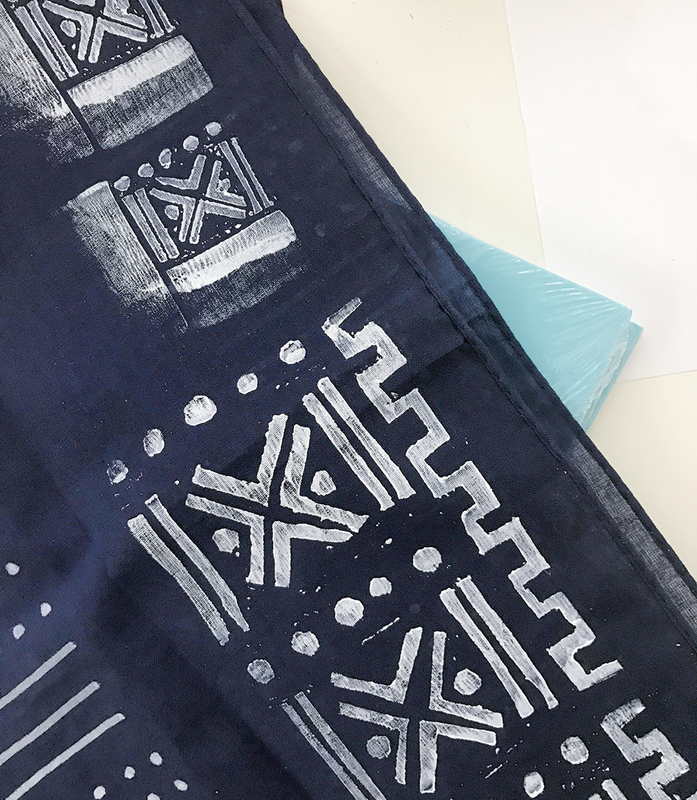 I decided to test and compare two different methods of printmaking to see which produced the best diy mudcloth (short of, well, actually using mud to create the pattern). 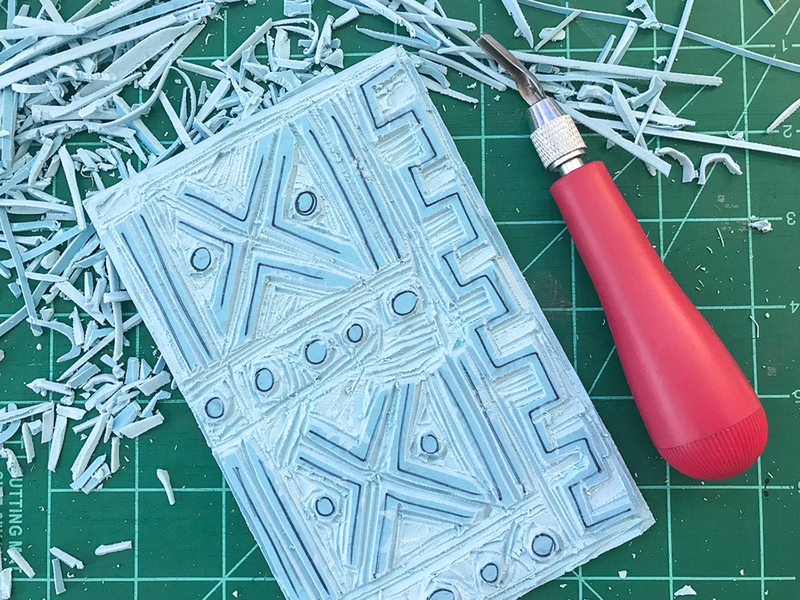 The first was a block print using the Speedball Easy Cut blocks and a carving tool. 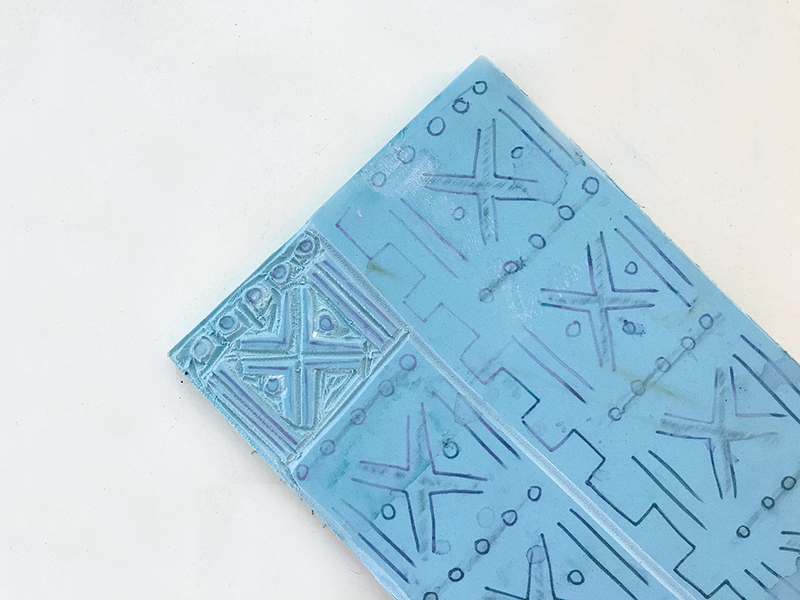 I drew the pattern on (this method will print the design in reverse, which isn’t a huge issue with a pattern like this). 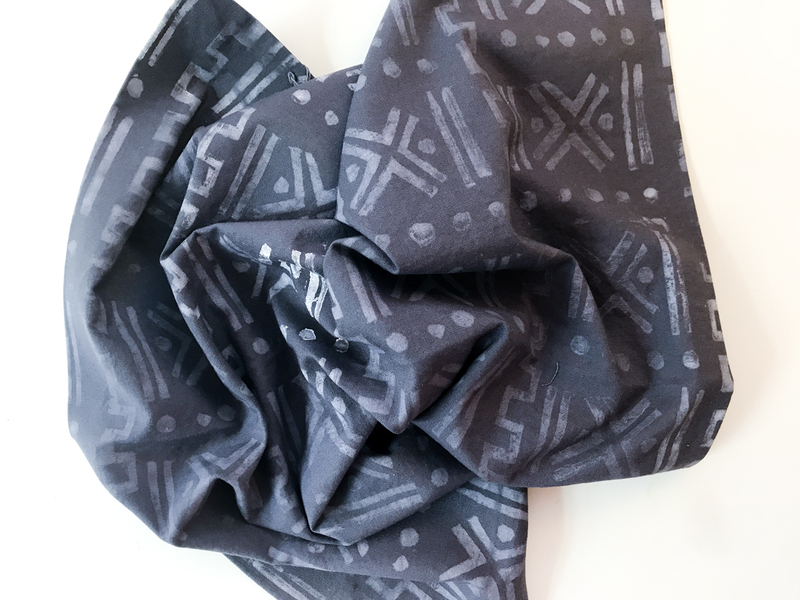 I used a small version of the pattern I’d designed, because I wanted the symbols to be tight and close together. This didn’t work as well as I’d thought: there was a lot of bleedover in the edges between the shapes because they were too close together, and the circles were super hard to cut at a small size. I redid the same pattern but at a much larger size, so I could control the design better and get a more crisp outcome. This looked way better—it was still a little wibbly because I cut the block hastily, but I liked some of the speckles and spots of the ink that transferred. It felt handmade. The ink coverage in general wasn’t super thick though (I could see fabric peeking through). 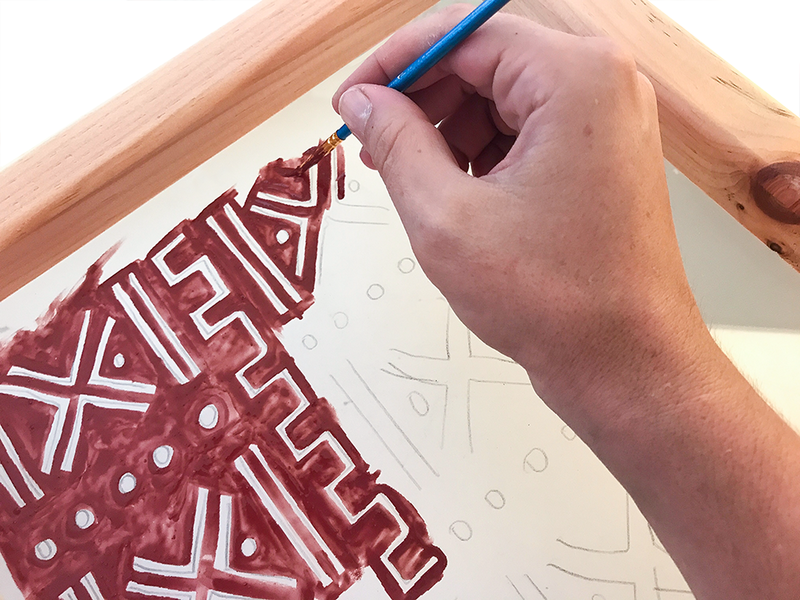 I then tried my other method, screenprinting—painting with Screen Filler is one of my favorite ways to relax. 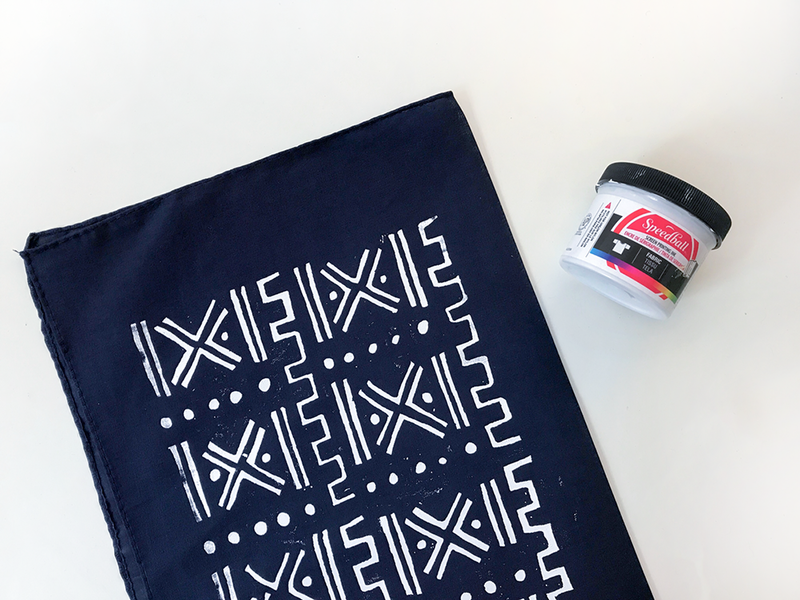 Once you’ve done the hard part of laying out the pattern correctly, in the right way on the screen that’ll give you the easiest time printing this diy mudcloth, I just turned on The Mindy Project and plowed away. Similarly to the rougher look of the block print, I left some of the thin brushstrokes as-is so some bits of ink would come through here and there. I liked how it looked, but I can’t decide which came out better—the block print or the screenprint. What do you think of this diy mudcloth? 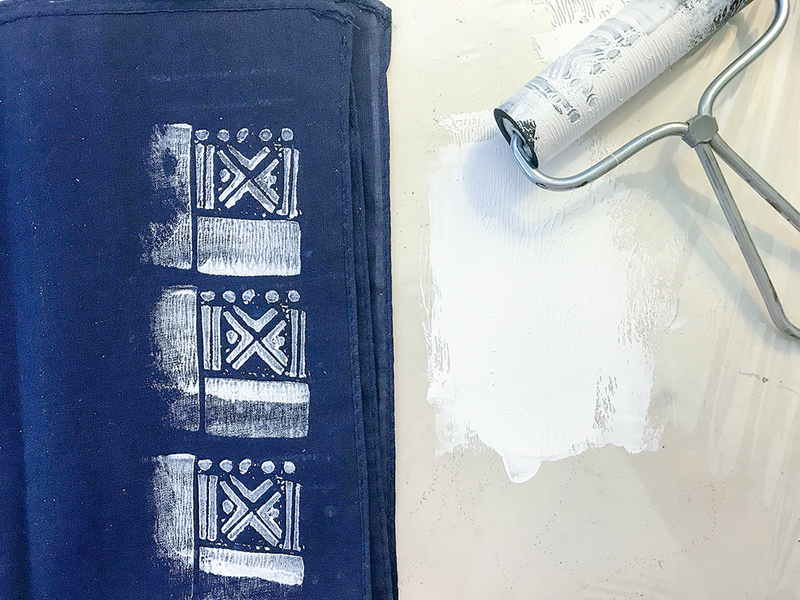 I ended up opting with the block printing method, because I liked that I could quickly stamp out a couple yards of fabric at a time—when I washed the fabric, I loved how a lot of the ink in spots lightened up to reveal this really beautiful and soft effect.